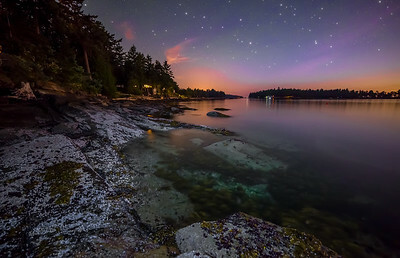 The shore of Galiano Island around three am. 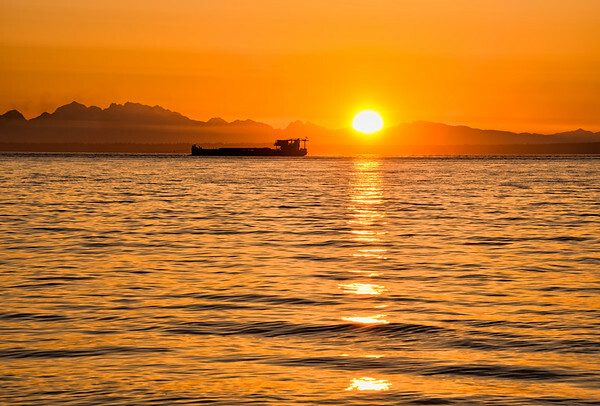 I dont do many panoramas because in the past I have not been that happy with the results, but I really like this one so plan to start taking more to improve my panorama skills. I was hoping to get some photos of the milky way from Galiano Island but the light pollution from Vancouver make it pretty hard. 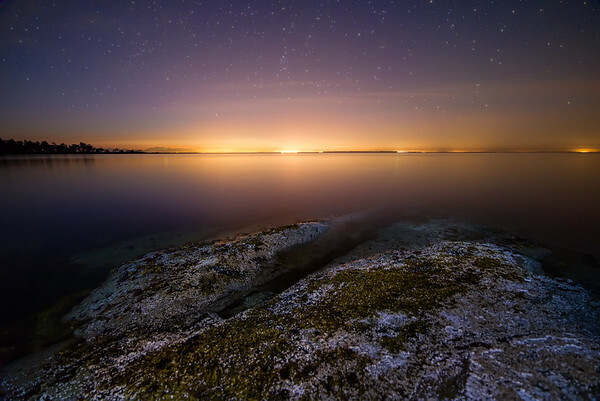 However, there were still lots of stars to be seen along the shore of this beautiful Island. 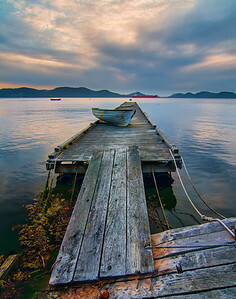 Found this dock next to a vinyard while exploring Saturna Island earlier in the summer. 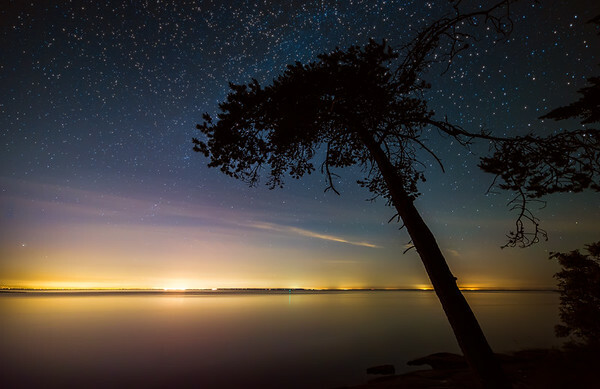 The lights of the lower mainland from Galiano Island. 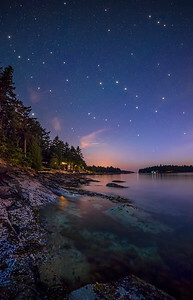 When you are over on Galiano the big city seems a long ways away, but Vancouver sure lights up the sky at night. I tried to get a shot of the milky way from Galiano Island but did not realize how bright the lights from Vancouver would be that far away. 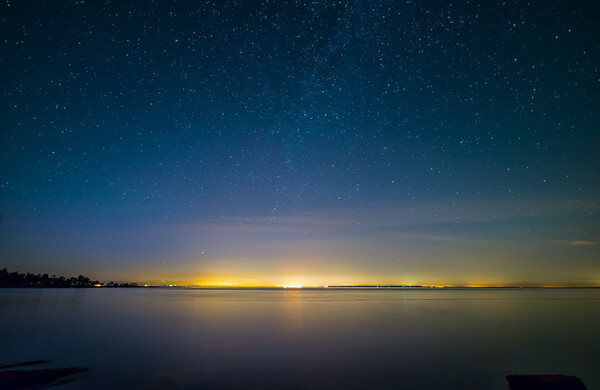 You can still kind of make out where the milky way is but it is much fainter than if I was further away from the city. I kind of like it with the city lights anyways. 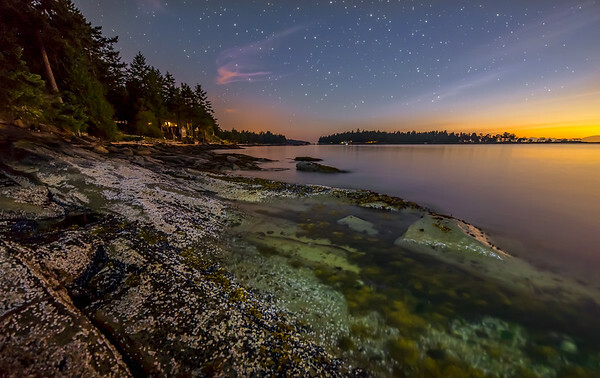 The glow of the lower mainland from the Galiano Island shore. I love how you can see clearly into the ocean at the front of this photo. 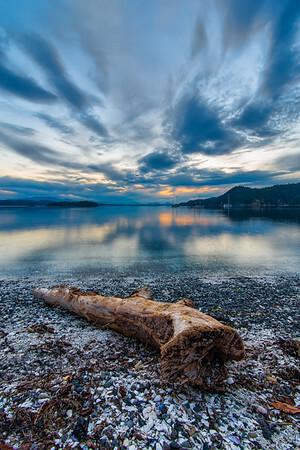 Taken along the shore of Galiano Island. 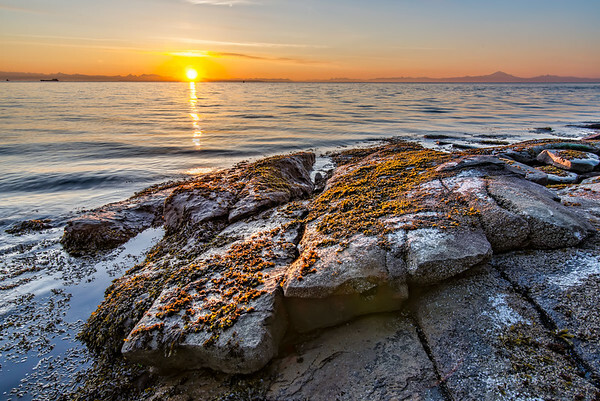 The sun coming up behind Vancouver from the rocky shores of Galiano Island. 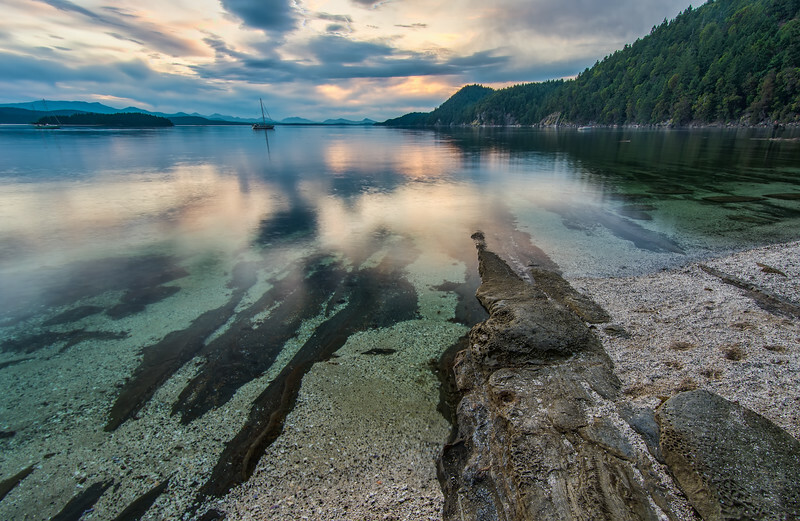 This rock pier juts out into the water in Montague Harbour provincial park. 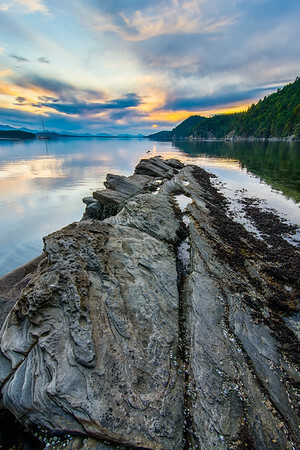 The rocks along the shore of Montague harbour pointing out into the cold clear water. 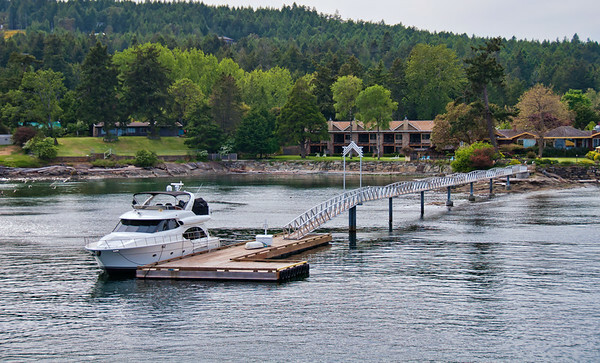 It is amazing how clear the water was at Montague Harbour. 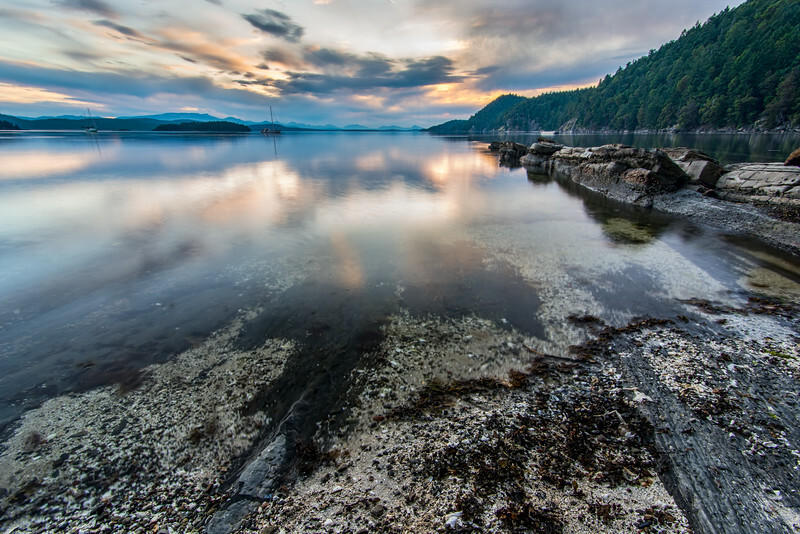 Montague harbour is a marine provincial park on Galiano Island, great place for a walk along the shore and checking out the sunset.